When I was little I used to LOVE sloppy joe night! You could always smell that savory aroma coming from the kitchen, the ground beef sizzling, the sauce being served, it was always a good night when those messy sandwiches were placed on the table! Since then, I have become a mother and I have found new and equally exciting uses for that handy can of Manwich. When the week really gets going, dinner always seems to drag me down. 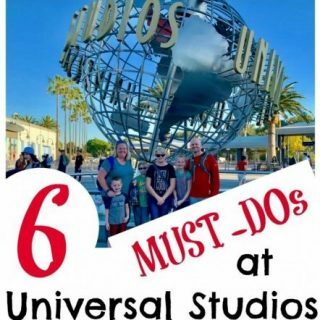 Just one more thing to do at the end of a busy day! Manwich Monday is the best way to kick off a week of quick, quality, tasty family dinners. 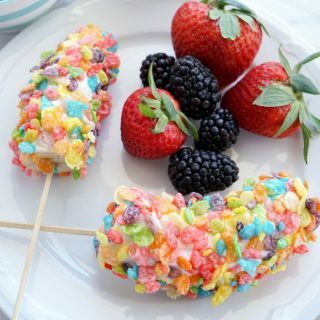 Plus, your kids will need both hands for these messy-licious treats, so no phones or video games allowed! Manwich is the perfect way to turn your families attention back to dinner and spending time together! Brown your ground turkey, then drain it. 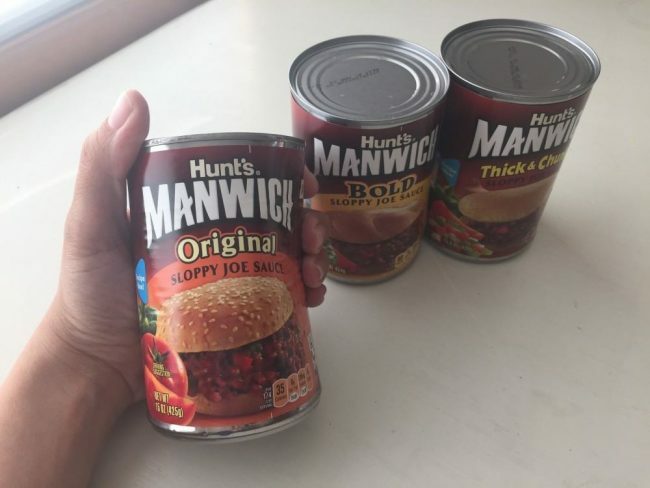 Add the can of Original Manwich. Add in your garlic and chili powders. I alter this amount to taste but usually 2t. is pretty perfect. Once that is all combined, bring it to a boil and let it simmer for a few minutes. Go ahead and turn off the heat and top with the cheese. Cover the pan and let the cheese melt. Now is the fun part. Eating! Serve this with chips or it also makes a fantastic topping for a baked potato! My kids love this fast dinner. Monday nights happen to be our designated family night, so a lot of times we eat this while we have family game night. Want another yummy dip? Try our Slow Cooker Camp Dip!! My favorite recipe is the Shredded Beef Sandwiches. Tangy Sweet Pork Chops looks tasty! I think the saucy chicken wings look good. My favorite is the Baked Sloppy Joe Cups recipe. The Meatball Hoagie recipe looks good. My favorite is the Manwich® Slow Cooker Pulled Chicken Sandwiches. Saucy Chicken Wings- my daughter would absolutely love this! YUM! I am going to make the Sloppy Joe Cornbread Bake tonight! the sloppy joe mini pizza look like something fun for the kids to make one night! I like the Stress Free Turkey Picadillo recipe. Honestly the one posted here looks pretty dang amazing! Left over Turkey Sloppy Joe Sandwiches sounds good! The Sloppy Joe Cornbread Bake recipe sound like one my family would enjoy. I really like the Sloppy Joe Mini Pizzas! I like the baked sloppy joe cups. My favorite recipe is Chicken Strips with Zesty Dipping Sauce. I’d like to make the Turkey Stroganoff. This is a nice twist on the traditional recipe AND it includes some nods to better health: reduced fat sour cream and reduced sodium chicken broth. Those meatball Hoagies look mouth watering. Love meatballs and this recipe sound very good. My favorite is the Sloppy Joe jalopy sandwiches. I want to try the sweet & savory saucy meatballs, since I love appetizers like this for potlucks or tailgating/football get togethers. I liked the Saucy Meatloaf recipe. I like the recipe for Chuckwagon Turkey and Bean Skillet. Baked sloppy joe cups look the best to me! When I was a kid Mom used to make “Bar-B-Cups”, which were similar but with ground beef and barbeque sauce. We loved them and I’ll bet it’s even better with Manwich! My favorite recipe is Hawaiian Pizza on the Grill. I like the Party Sausage dip. I would like to try Manwich® Cheesy Chicken Dip. Sounds delish! No Alarm chili sounds delicious! I always use Manwich for Sloppy joes and never considered it for other uses.. love these recipes! would love to try the Sloppy Joe Cornbread Bake! YUM!!! Sloppy joes tacos are my favorite recipen on the site. Our favorite is Original Manwich but I would like to try the Refrigerated Manwich. Tangy Sweet Pork Chops looks good……..
My favorite Manwich recipe is Sloppy Joe Tacos. The saucy chicken wings. I never really considered using Manwich sauce plus a few other ingredients to marinade party wings, but this recipe seems worth a try! I would like to try the Sloppy Joe Cornbread Bake. I like the Baked Sloppy Joe Cups because it looks tasty and easy to prepare. I Like The Sloppy Joe Mini Pizzas Recipe. Supersize Sloppy Joe Dip looks really good.. I think that the Tangy Sweet Pork Chops look good, and not something I would think was made with Manwich. I’m gonna try the Sloppy Joe Slider Pull Aparts this week with King’s Hawaiian Rolls! Maybe the Saucy Chicken Wings, probably add more heat though. The Hawaiian Pizza on the Grill looks really good! I think the Sloppy Joe Jalopy Sandwiches look yummy! I just love good ol’ sloppy joes. The No Alarm Chili looks delicious. Gotta love that Sloppy Joe Jalopy! How creative! My kids would love the Sloppy Joe Mini Pizzas! I want to try the Sloppy Joe Mini Pizzas recipe. The Sloppy Joe’s Taco recipe sounds good! Sloppy Joes sandwich recipe is my favorite recipe. I’d like to try the Sloppy Joe’s Tacos! I would try the Sloppy Joe Macaroni Skillet. I think my family would love the meatball hoagies. I really would love to make the Meatball Hoagies. When I was a teen, way too many years ago there was a pizza place call Pisquilles (something like that) and they made the best Meatball Hoagies and I don’t think I’ve had one since. So I’m definitely going to try that recipe. Thanks for the chance to win. Never thought a lot about using Manwich for other recipes, honestly. A great idea. I’d like to try the baked sloppy joe cups. Looks good to me! And you can eat it with a fork! LOL Not so sloppy. I would like to try the saucy chicken wing recipe. The Sloppy Joe Stuffed Baked Potatoes sounds amazing. Would LOVE to try! The Turkey Sloppy Joe Cornbread Bake looks good. Sloppy Joe’s topped Spaghetti sounds the best! I really want to try that Sloppy Joe Macaroni Skillet!! The Sloppy Joe Cornbread Bake sounds pretty good, and simple enough to make too. I also like that it can easily be altered, according to some of the commenters, who’ve done things like added corn or other vegetables or put cheese on top. My favorite recipe is the Creamy Sloppy Joe Bites. sloppy Joe Biscuit Casserole looks yummy ! Vegetarian Sloppy Joes is my favorite recipe! I’d like to try some Sloppy Joe’s Tacos. The Sloppy joe Mini pizzas sound yummy!! Thank you for the chance. I want to try the Baked Sloppy Joe Cups. My favorite is the Saucy Ham Sandwiches. I know my kids would love the Sloppy Joe Slider Pull Aparts. It looks easy enough to make too! the sloppy jo dip sounds fabulous! My favorite recipe is the Sloppy Joe Slider Pull Aparts. Perfect for game day! 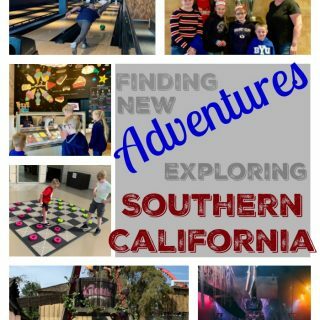 Thank you so much for the chance to win! I’d like to try the Saucy Chicken Wings. The saucy chicken wings look SO good! My favorite manwich recipe is the no alarm chili. The sloppy joe cornbread bake sounds good. I’d like to try the Manwich® Cheesy Chicken Dip. I didn’t realize you could do all those kinds of recipes with it. I always just made sloppy joes. That is a GREAT idea! I would also like to try the Saucy Baked Chicken. Sloppy Joe Mini Pizzas look amazing! i have to go with the baked sloppy joe cups! Their recipe, Saucy Baked Chicken, sounds really good! The Turkey Sloopy Joe Cornbread Bake looks really good. I would like to try the Baked Sloppy Joe Cups. Thank you!! My favorite recipe is Sloppy Joe Slider Pull Aparts. I want to make the Slow Cooker Pulled Chicken Sandwiches. I would like to make the Party Sausage dip. The sloppy joe mini pizzas sound yummy! I would like to try the Sloppy Joe Mini Pizzas recipe. I’d love to try the Sloppy Joe Cornbread Bake recipe – looks delicious! 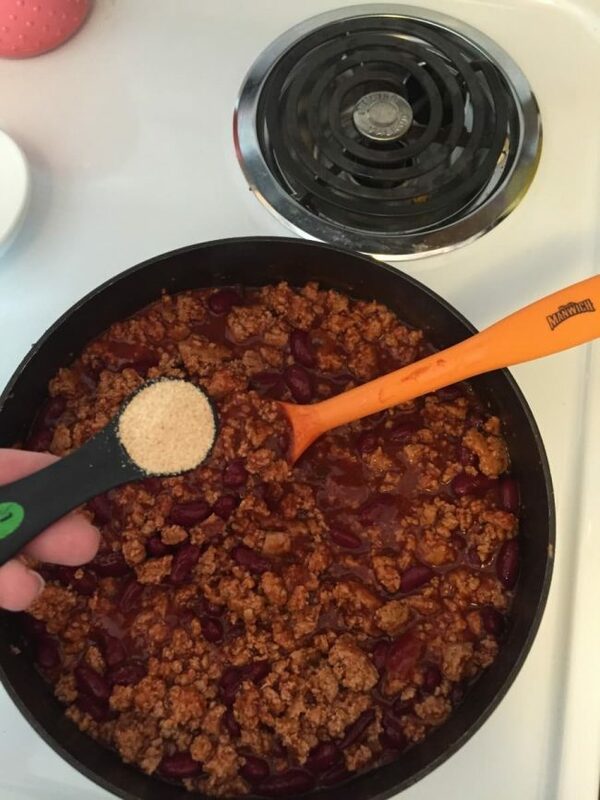 I also like the Beefy-Bean Sloppy Joes recipe. I would like to try the Manwich Sweet and Savory Saucy Meatballs recipe. I want to make Sloppy Jo Cornbread Bake…looks yummy! I like the Slow Cooker Pulled Chicken Sandwiches recipe. sloppy joe pizzas sound good. Oh your Chili dip looks so yummy! I would love to try their recipe for the Sloppy Joe Stuffed Baked Potatoes! I pinned this recipe you posted. I would love to try it. Sounds delicious! 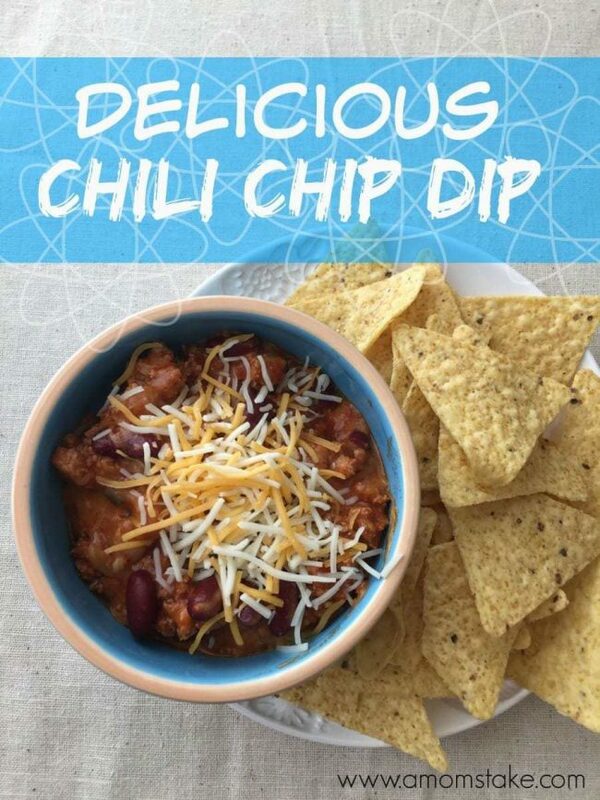 That chili chip dip sounds really yum! I’d also like to try their Saucy Chicken Wings recipe. My husband love chili so much! This would make a hearty game snack! The Sloppy Joe Mini Pizzas would go over well at my house! I like the Beefy-Bean Sloppy Joes recipe. I like using ground turkey for things like this. I checked out the recipes, and the Sloppy Joe Jalopy Sandwiches are adorable! 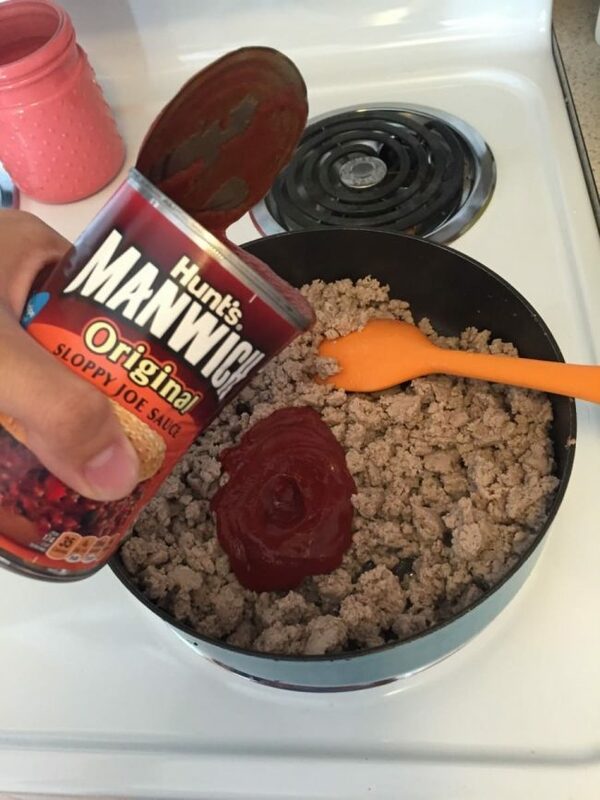 I’ve used Manwich for dinner of Sloppy Joes before but never in a dip. This sounds good! Yummy! This will be perfect for our weekend family movie nights. Never thought of using sloppy joe’s as a dip! how creative! Love quick meal ideas. There are so many things you can do with Manwich. Yum. What tasty looking chip dip. This would be the perfect dip for movie night or even game day. We need to make this! My favorite recipe is Saucy Chicken Wings. That looks yummy! Sounds like a great dish to have at a game day party! Manwich is a favorite of ours. We top it with cheese and pepperonis. This looks like a great recipe. This would be a big hit at my house. 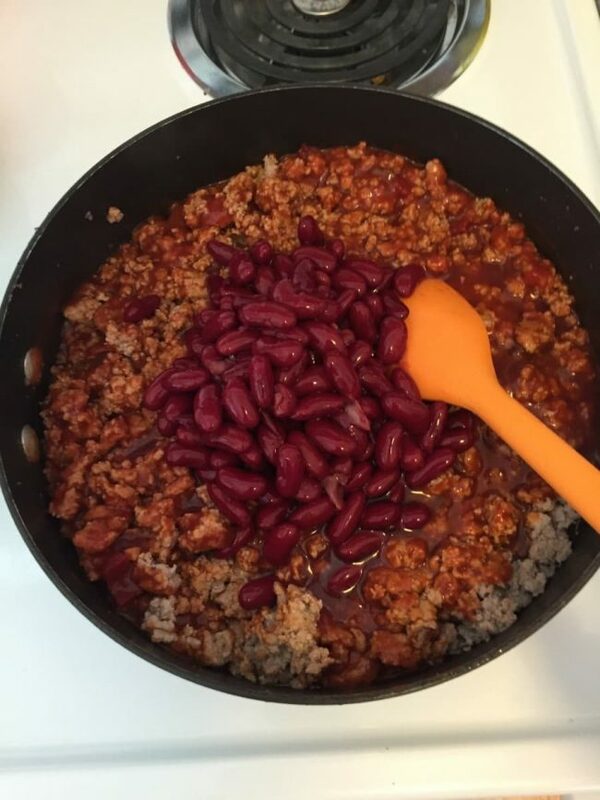 My kids love chili. I will have to try this recipe. Oh my goodness! I can see my boys enjoying this while cheering on their favorite football team!! I love the mini pizzas. This dip looks so tasty! I love anything with Manwich. OH, the Sweet ad Savory Meatballs sounds so delicious. We love Manwich in our house. You know, I would have never thought of using Manwich. I love the idea… as I always have a can or two on hand. Thanks for sharing. Wow I havent had Sloppy Joe in so long! I can soo go for a Manwich right now. What a great recipe for sports season! My family loves Man O Which Sloppy Joes. This is a clever way to incorporate it, yum! I never make chili because I can’t eat beans. So why go through all the effort right? 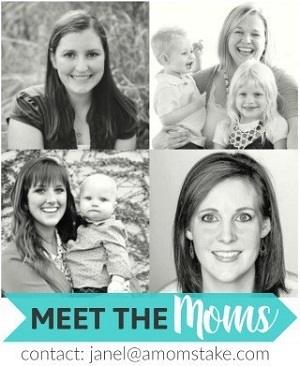 But my kids and husband love chili! Well, you just showed me how to make it the easy way, so they can still have it and i don’t have to spend hours on something I can’t eat! They are going to love you for this! 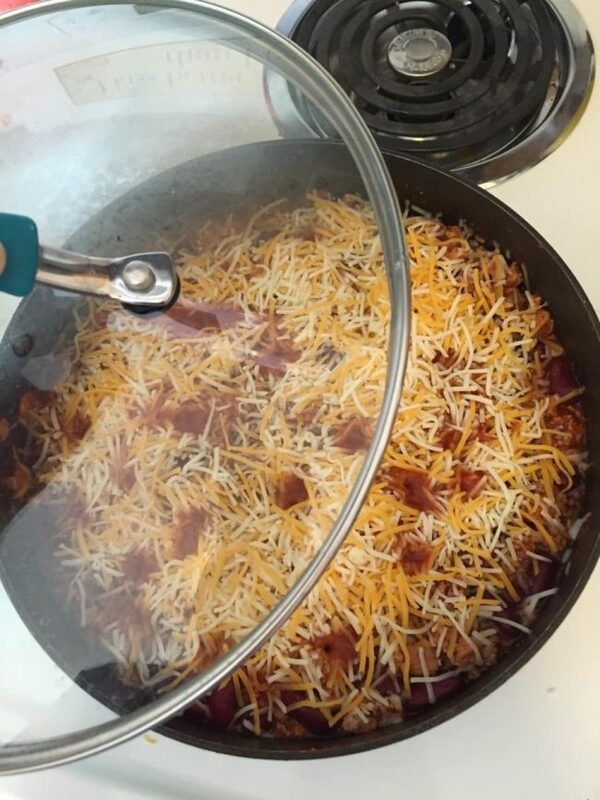 This is an awesome take on chili cheese dip! I can’t wait to give this a try. It’s just in time for football season! We eat Manwich at least twice a month. It’s delicious,and it’s super fast. There are so many good looking recipes on the site, but I would try the Saucy Meatloaf first. My son is 5 years old and just discovered that he likes chili. I’ll have to try this dip for him! The sloppy Joe mini pizzas look amazing! I would love to try those. I never thought of using this for Chili, but your recipe sounds fantastic. I never would have thought this was made with manwich. I think I’ll give it a go and try it. That dip is RIGHT up my husband’s and my alley! I am so making this for the game this weekend. Sloppy Joe’s Tacos look good! I like Manwich Cheesy Chicken Dip . The sloppy Joes Tacos looks amazing! We used to eat Sloppy Joes with ground beef and when I was a kid. I miss them, it has been too long since I had some! My favorite is the Chuckwagon Beef and Bean Skillet. The Party Sausage Dip sounds good to me! I would really love to try out the Creamy Sloppy Joe Bites. The Sloppy Joe Slider Pull Aparts sounds delicious. I would like to try that. Turkey and bean sloppy joes is my favorite recipe. The No Alarm Chili sounds good to me! Now I’m hungry with many recipes to try. I think the saucy meatloaf looks amazings, the kids would love the mini pizzas! I like the Sloppy Joe’s Tacos recipe. I have to say i am so Impressed with vegetarian sloppy Joe recipe! The baked sloppy joe cups! YUM! They sound great! I like the Meatball Hoagies recipe. My favorite recipe is the Baked Sloppy Joe Cups. I would like to try the Tangy Sweet Pork Chops! My favorite recipe is the Sloppy Joe Jalopy Sandwiches. I’d like to try the sloppy Joe tacos and the sloppy Joe under cornbread. My favorite are the meatball hoagies. My favorite recipe is the like the Hawaiian Pizza on the Grill recipe. I like the Hero Joe Recipe. 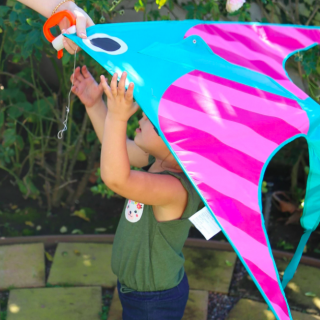 My son would love it. My favorite recipe on their site is the Sloppy Joe Biscuit Casserole. I would love to try the Hero Joe Recipe, looks so delicious!! I like the Tangy Sweet Pork Chops recipe.